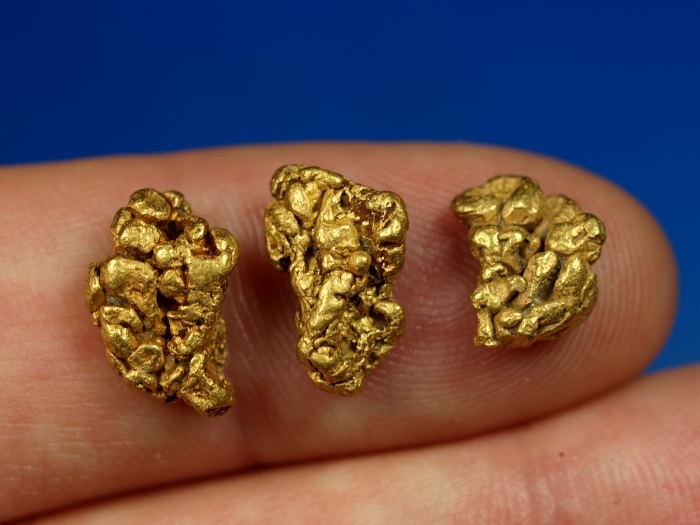 Three gorgeous natural gold nuggets from a placer mine near Fairbanks, Alaska. They all have really nice shapes and interesting textures. 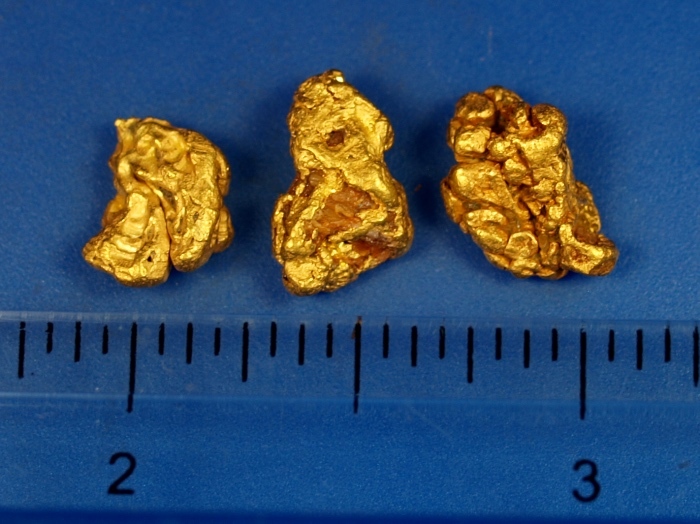 Their combined weight is 7.98 grams.